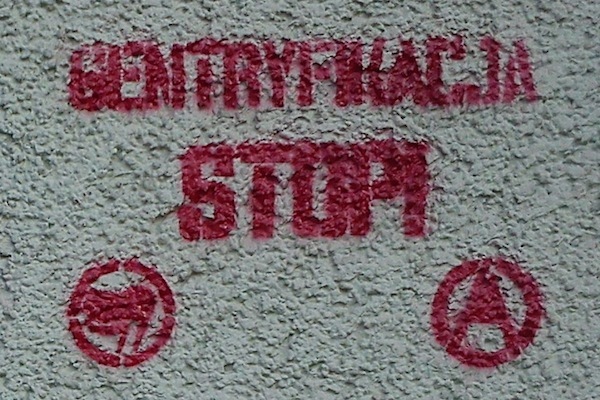 Anti-gentrification graffiti in Poznan, in central Poland. When my movie El Barrio Tours: Gentrification in East Harlem was selected for the San Diego Latino Film Festival last year, local activists Jerry Guzman-Vergara and Georgette Gomez, toured me around the city. When they first heard about my film, they thought it focused on their neighborhood of “Barrio Logan”. I corrected their error, but in time, we began to see, that our communities while 3,000 miles away, had a whole lot in common. Until recently, Barrio Logan and East Harlem had both been utterly abandoned by the public and private sector. San Diego shipped it’s problems to Barrio Logan, just as New York’s were thrown above 96th street and into the outer reaches of Brooklyn. Developers in Barrio Logan, just like in East Harlem, began snatching up cheap land hoping to flip it for a profit, and both cities to regain their tax base, depleted from white flight, incentivized wealthier new residents to come to the city. As downtown expanded, development pushed outward and people outside the Barrio began to realize, that this place their parents had always told them to avoid, might be a convenient alternative to downtown’s sky rocketing prices, not to mention it was 15 minutes from downtown. Later in the year I was invited to Vieques to show my film at the Puerto Rico International Film Festival, and it became clear that gentrification was occurring there as well. Despite the contamination the US Navy has yet to clean since their departure, the main industry in Vieques has become tourism. The government spent large sums of money to subsidize this industry, and the result of luring tourists and wealthier residents instead of aiding current ones, has been severe displacement. According to Frank Valgara head of New Yorkers in Solidarity with Vieques: “On the main commercial strip in Vieques, of 17 businesses, only 1 is still owned by an actual Viequense, the rest, by mainland Americans. Fisherman’s homes on the coast, passed on through generations, have been systematically demolished to build million dollar beachfront mansions.” The island has been so affected that after El Barrio Tours” screened, the Q&A, was taken over by community members angered with the out of control development of the island. I used to think gentrification was the organic workings of a free market. But I soon realized the only organic part in gentrification was the tremendous push back against it. In Vancouver , a formerly homeless man has just finished a 36-day hunger strike against gentrification. In Berlin, protests erupted over developers tearing down remains of the Berlin Wall for luxury housing. That pushback is spreading organically, spreading all over the world. But most of us, while affected by gentrification, are not even aware of those global connections. Fact is, gentrification can affect almost anybody, and almost always negatively. Yes, if you are a large property owner when gentrification hits, you’ve won lotto; your property values can double, triple in just a few years time. However, if you are a smaller property owner, you get pushed out by higher property taxes. If you’re a renter when gentrification hits, as are 70 percent of New Yorkers (and over 90 percent of East Harlem residents), you get pushed out by higher rents. Small businesses in cities without commercial rent regulation suffer the same fate. Today, New York City is facing a homeless crisis worse than any time since the Great Depression. Rents are skyrocketing, Subsidies for luxury development are at all time highs. However, services for homeless are being cut and affordable housing really isn’t affordable. That’s precisely why the CUNY School of Public Health sponsored the “El Barrio Tours” premiere; they saw this as a public health crisis. Even the CDC has listed gentrification as a public health issue, identifying it as a cause of higher stress levels, violence, crime and mental health issues. Gentrification doesn’t solve our problems; it simply moves them to the outskirts of the city. Many of those running to the suburbs are ex-residents of public housing, which has been demolished in almost every American city outside of New York. 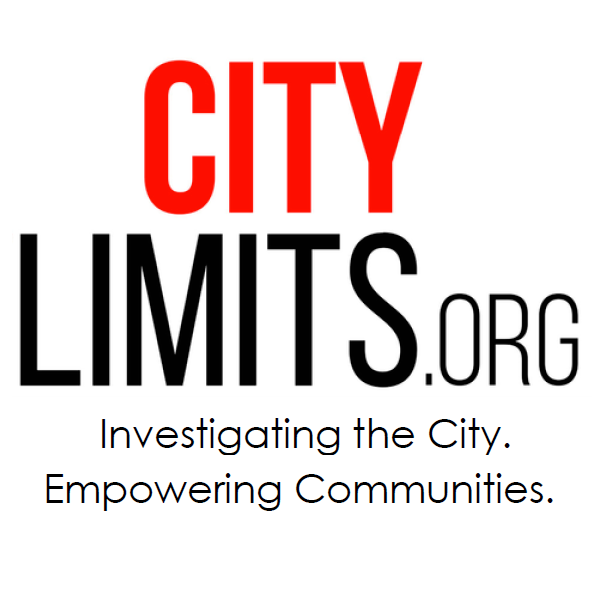 With almost 600,000 residents, New York City public housing is the last stronghold in the U.S. That 600,000 does not include the vast number of working class New Yorkers renting apartments near public housing, whose rents are lower simply because of their proximity to the projects. Infill proposals supposedly aimed at “saving” public housing in New York City would demolish resident’s parking lots, playgrounds and community centers in order to build luxury housing on their land. This process would damage the quality of life for residents of NYCHA, and the luxury developments would cause property values near public housing to skyrocket even further, leading to even more displacement. We may be on different levels of the ship but we are all on the same boat. And that boat is leading the lower and middle class out of the city center. Activists tend to highlight the effects of gentrification on their own “Barrios.” It is empowering to know that you are not alone. There is power in numbers. Those against gentrification have them, we just don’t know it yet. We are the silent disconnected majority, but we do not have to remain that way.